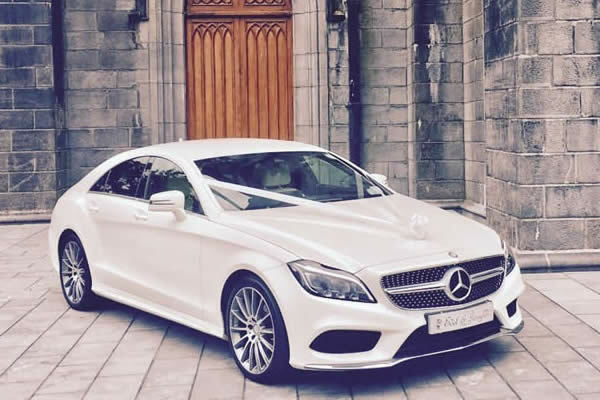 Mercedes-Benz CLS has a lavish interior, secure handling, and plenty of advanced safety features. 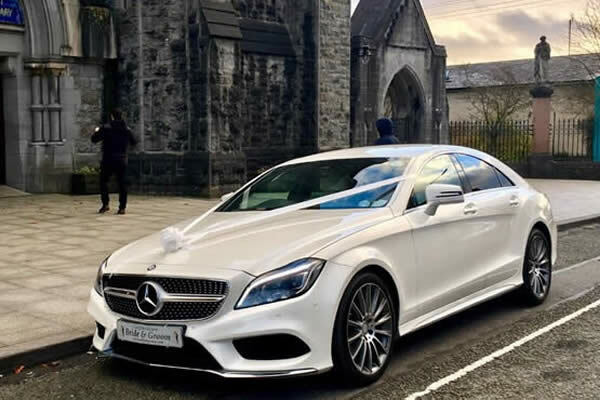 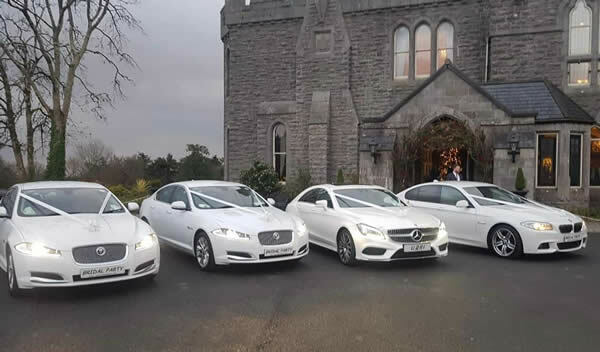 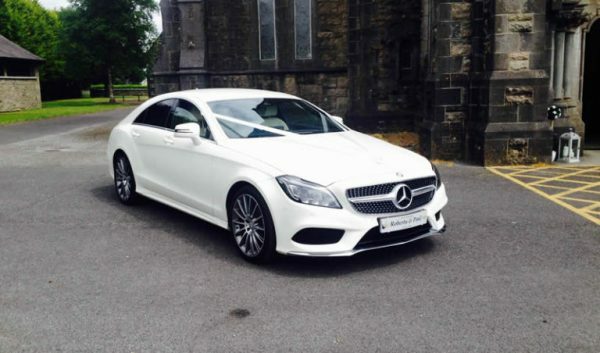 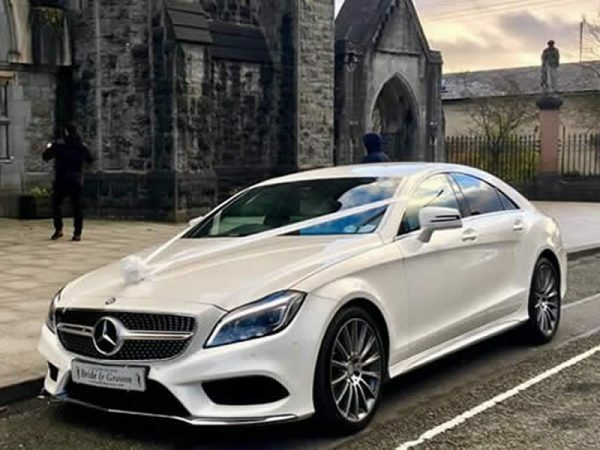 The Mercedes CLS is a sleek stylish, quick and comfortable luxury saloon car with room for three passengers and their driver making for an ideal bridal car for that special day. 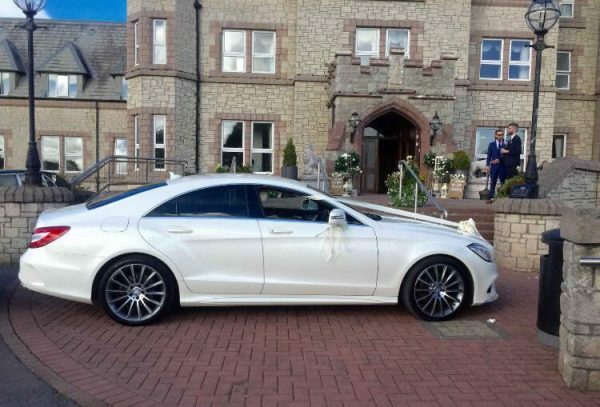 The Mercedes CLS may look as aggressive as other four-door coupes, but its low height and curvaceous profile give it a classic feel, almost reminiscent of the 1950s. 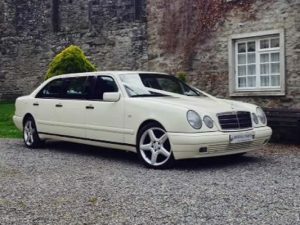 As well as the dramatic looks, it majors on comfort and refinement, a car where you are guaranteed to arrive in style. 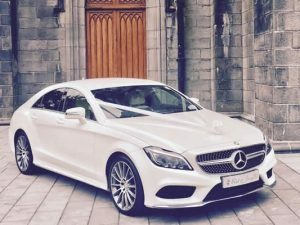 The rental cost for this car depends on the amount of time it is required and the distance that needs to be travelled. 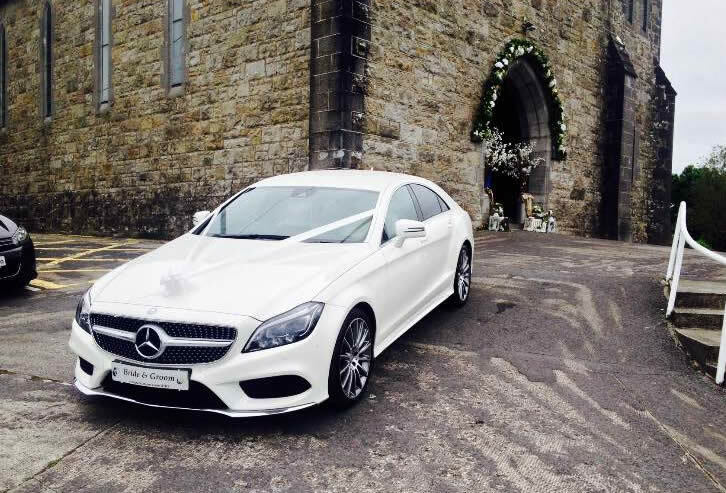 The rental fee includes a chauffeur as well as car decorations (ribbons, rosettes, flowers etc. 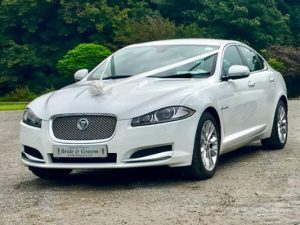 to be agreed). 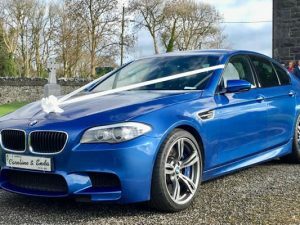 Please call our office to confirm price and availability.